Spring is the time of the year when many Pinot Noir producers offer a limited amount of Rosé crafted from last year’s harvest. Sure, Rosé gets a bad rap and is poo-pooed by wine cognoscenti. But when the weather turns warm, a chilled glass of Pinot Noir Rosé can refresh the palate on its own or provide a perfect accompaniment to a versatile range of food options. Perhaps you grew up with slightly sweet Mateus and Lancers Rosé wines like I did and frequently enjoyed them. White Zinfandel later appeared on the wine scene and catered to the American soda pop palate, but was never for me. Today, serious, bone-dry versions of Rosé have become increasingly popular and a favorite of mine. The fresh fruit aromas and minimal tannins make for perfect quaffing or drinking with summer fare like hamburgers, grilled chicken and seafood, or a BLT sandwich. I find it challenging to critically review a Pinot Noir Rosé wine, because it is an unpretentious wine to enjoy, not a wine to be critiqued. Admittedly, there are serious versions, crafted with the same intent as regular Pinot Noir, and their superiority can be recognized, but most do not require contemplation. 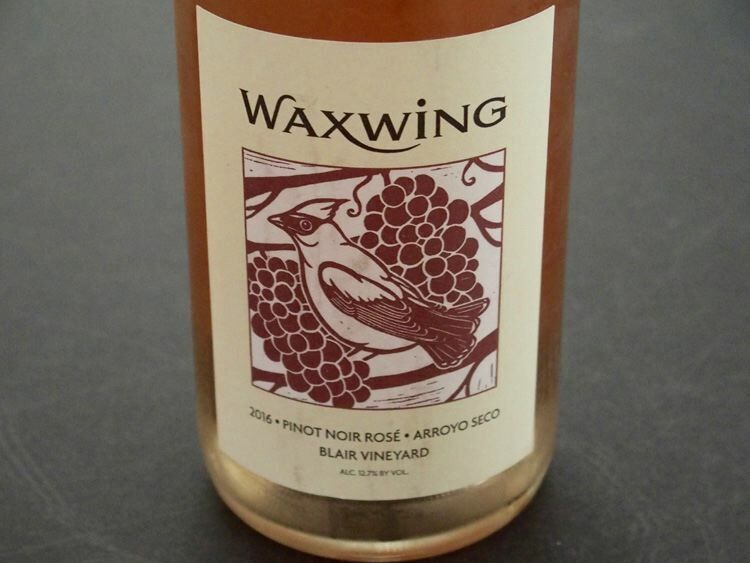 Despite the increasing popularity of Pinot Noir Rosé, the wines are produced in small lots because quality Pinot Noir grapes are expensive to farm and buy. The wines demand prices in the range of $18 to $30, much less than half the price of premium Pinot Noir and this value pricing, along with the appeal, make the wines disappear rapidly from the marketplace in the year following harvest. When you taste Rosé, you taste the sun. For a good read about Rosé, check out Rosé All Day: The Essential Guide to Your New Favorite Wine, by Katherine Cole. Here are four excellent examples. Scores are for the Rosé category and represent the score of the wine in relation to other Pinot Noir Rosés, not premium still Pinot Noir.